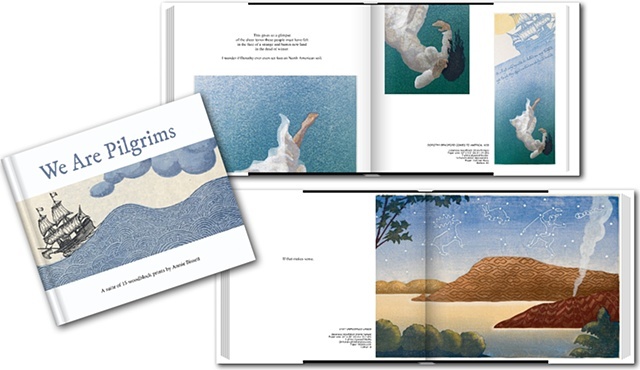 Available in soft or hard cover, We Are Pilgrims showcases the entire group of 15 Pilgrim prints seen here in this online gallery. In addition to high-quality reproductions of the prints themselves (photographed by Stephen Petegorsky) the book also includes short, pithy prose-poem text highlighting the back-stories that inform each print. We Are Pilgrims is a print-on-demand book available through Blurb Books, which is where the following links will take you. + Click to see online preview of the book.